NASA’s Nuclear Spectroscopic Telescope Array (NuSTAR ) satellite observatory has detected “high energy” x-rays from 5 galactic supermassive black holes. By aiming NuSTAR at nine potential “black hole” galaxies, scientists detected five massive black holes previously obstructed by gas/dust clouds. 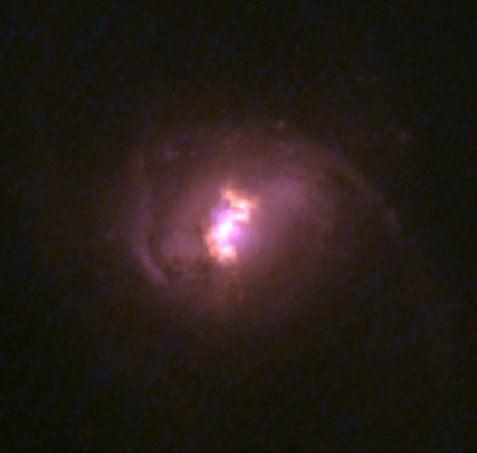 A Hubble Space Telescope color image of one of the nine galaxies targeted by NuSTAR. 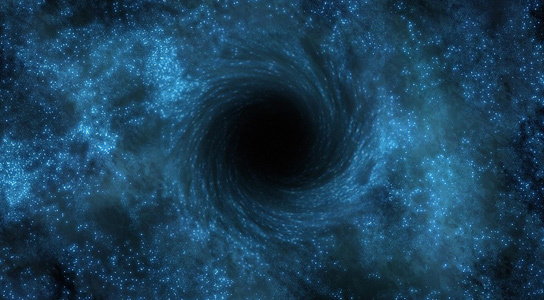 The high energy X-rays detected by NuSTAR revealed the presence of an extremely active supermassive black hole at the galaxy center, deeply buried under a blanket of gas and dust. Image credit: Hubble Legacy Archive, NASA, ESA. Launched in 2012, NuSTAR is able to detect higher energy x-rays than previous satellites. Now researchers seem to have evidence backing the theory – countless black holes litter the universe, obstructed by clouds of cosmic interference. On July 6, 2015 findings were presented to the Royal Astronomical Society’s National Astronomy Meeting in Wales. Head researcher George Lansbury said…. “For a long time we have known about supermassive black holes that are not obscured by dust and gas, but we suspected that many more were hidden from our view.